للمسافرين الذين يرغبون أن يعيشوا كل ما تقدمه المدينة، فندق مانترا ساوث بانك هو الخيار الأمثل. يسهل الوصول إلى هذا الفندق ذو 4.5 نجوم من المطار، فهو يبعد عنه مسافة 25.0 km فقط. إن سهولة الوصول من الفندق إلى المعالم السياحية الشهيرة الكثيرة في المدينة هو استثنائي بحد ذاته. إن حسن الضيافة والخدمات الراقية التي تعرف بها Mantra Group تغني تجربتك في فندق مانترا ساوث بانك . هذه بعض الخدمات الموجودة في هذا الفندق: مجهز لذوي الإحتياجات الخاصة, تسجيل وصول/خروج سريع, تخزين الأمتعة, واي فاي في المناطق العامة, خدمة صف السيارات. في الفندق غرف نوم يتجاوز عددها 130، كلها مجهزة بعناية وجمال وبعضها مزود بـ تلفزيون بشاشة مسطحة, مناشف, حوض الاسترخاء, غرف لغير المدخنين, مكيف هواء. يقدم الفندق مجموعة واسعة من وسائل الراحة المتنوعة، كمثل: حوض استحمام ساخن, مركز للياقة البدنية, ساونا, حمام سباحة داخلي, سبا. مهما كانت أسبابك لزيارة المدينة، فإن فندق مانترا ساوث بانك هو الخيار الأفضل لإقامة مثيرة وممتعة. تتوفَّر خدمة انتظار السيارات لقاء رسم إضافي بقيمة 30 دولارًا أستراليًا في الليلة الواحدة لمدة 24 ساعة. Fantastic hotel with great service and the location was so close to the Arts Center! Hotel is well appointed and breakfast was really good! Will stay again! We stayed for 4 nights at Mantra. The room is awesome which you will feel at home as it have everything! Even washing machine and dryer 👍🏼 The hotel location is also I would say strategic as you can take stairs at the gallery area to go to the city centre (the tram is free in the city area). The staffs are also thumbs up! My family and I will absolutely stay there again next time! Only stayed the one night , but enjoyed our stay in a two bedroom apartment over new years. Clean rooms, friendly staff, no complaints. We left our room for the day only to find out our bathroom was drenched as our aircon had leaked from the ceiling, reported to front desk who helped fix the situation immediately. Will definitely return to the mantra. Great location, great service at reception. They room was very clean, and very spacious. It was more than enough for 2 people which made it very comfortable. It is right across the road from the sky deck which is a good place to take a romantic date or the kids. I would definitely go stay there again without question. I would Probably prefer to stay there rather than a 5 star hotel like crown as it is quiet and much more spacious than 5 star rooms. The Balcony was the biggest balcony I had ever seen haha it was huge! Loved it! cannot speak more highly of this hotel! Plenty of room and well appointed for my young family. 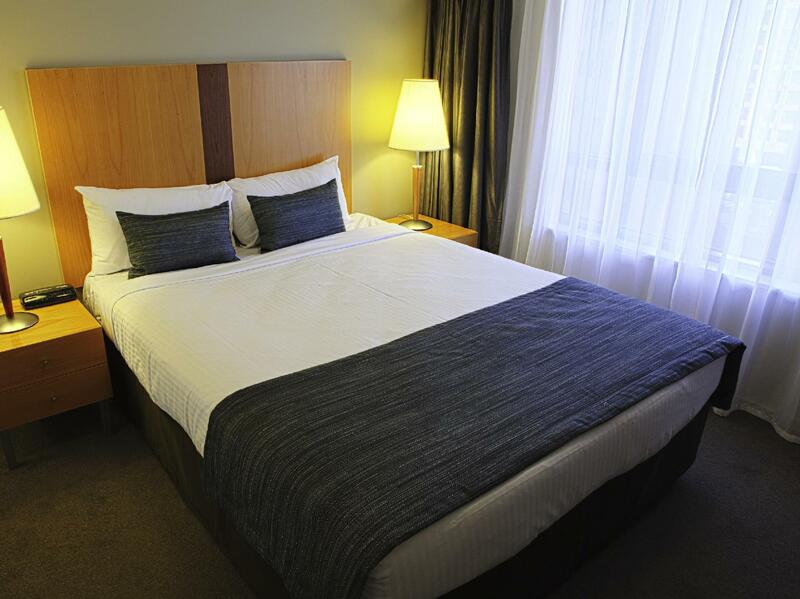 Close to Southgate galleries and across the road from eureka tower. Easy walk into cbd or along Yarra to sport precinct. 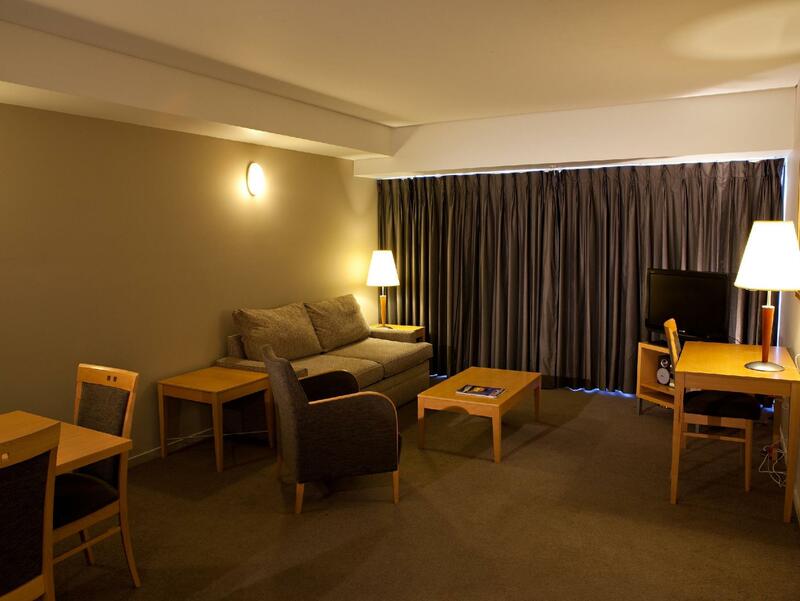 After a long day at the NGV and city dinning to check in quickly to a spacious room (2br apartment) with the kids beds and cot already waiting was perfect. Pool is just over 1m deep the entire length so good for school age children with a little swimming ability. My preschoolers had a quick pre checkout play mostly in the spa but FYI main pool is too deep for a tall 4year old. Spacious room with full equipped. It is suitable for family travellers to stay over. Good location within walking distance of all the city has to offer. The room was very good with everything required in excellent condition. I had a good deal which meant I had no housekeeping which wasn’t a problem being a single traveller as there was sufficient towels, coffee, tea etc. The pool has a outside area for sunbathing and Some good views. The front staff were very helpful especiallly Brad who helped with trip bookings and hotel problems in Sydney. I checked out early but left my case in storage until I picked it up at 11pm which was very useful as it saved time and money. Highly recommend this hotel. Great location was great walking to Southbank with the family. Kids loved the pool! Unfortunately we weren’t happy that on the public holiday we couldn’t get room service, first it was raining so walking around wasn’t an option second we have small kids&third it was my husbands bday! Also nothing in our room told us that there was only room service in the morning of a public holiday. 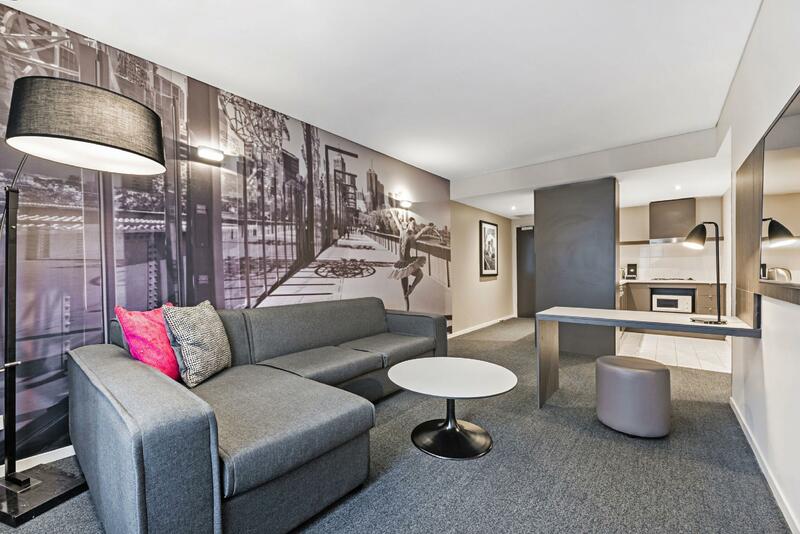 We thoroughly enjoyed our Premium Two Bedroom Corner Apartment overlooking the Melbourne Arts Centre. Delightful, modern interior with comfortable bedding and a lounge so comfortable, you'll want to take it home. If you love walking along the river, are delighted by the anguish of far too many highly rated eating choices, with an abundance of other activities nearby, then this is the place for you. However, the free WiFi is minimal, lasting approximately 15 minutes and you will need to purchase more. The staff were prompt and efficient in our communication prior to arrival and onsite. Secure car parking is an additional $25 per night. A little disappointed as there was no tea towel or paper towel for use in the kitchen. Located on the 9th floor, it was reasonably quiet. We would definitely return for a longer stay. The location was great, just a stones throw from Southgate. Our room was nice, but the shower had some mould in the grouting, there were noisy people around our room. Talking loudly outside the door and kids/teenagers running up and down the hall yelling. We were not impressed by that. I booked a 2 bedroom apartment with 2 bathrooms and I called both Agoda and the hotel directly to confirm this. However, when I arrived, I was given a 1 bathroom unit and was told that was my booking and there was no way to change the room as I arrived late after midnight and the hotel is full. Not too happy about this considering I took the effort to call from overseas in advance. Hotel was clean and tidy, but old and tired. Could do with a renovation throughout. Saying that, for an old hotel, the place was very clean. Staff were great and the restaurant/bar downstairs was fantastic, couldn't be better. The biggest downside was the noise coming through the old windows: we could hear every single truck outside. Location was good, midpoint between crown casino and flinders st station. 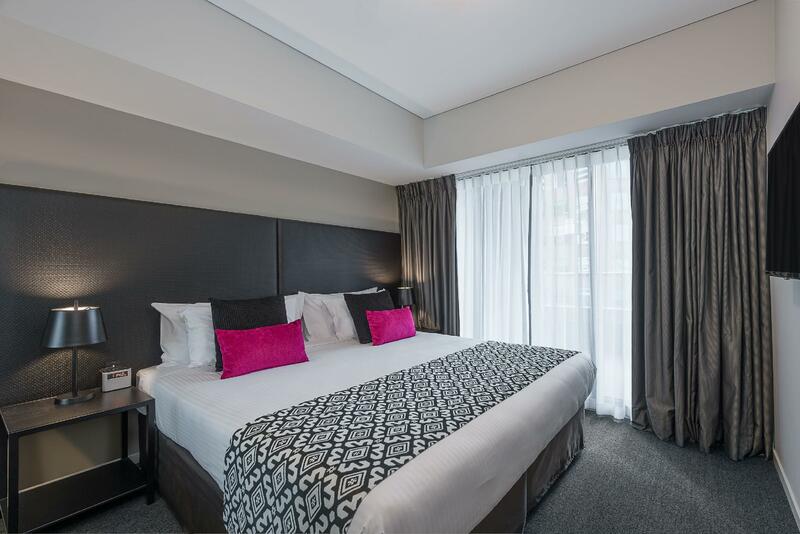 Mantra Southbank is extremely close to south gate shopping centre, Flinders street station and the heart of Melbourne City! 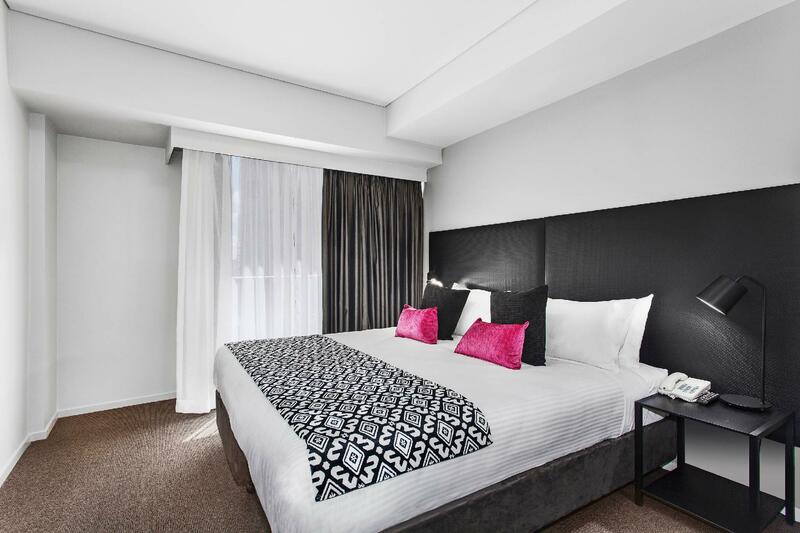 We thoroughly enjoyed our two night stay at the Mantra, the flexibility to extend our check out at an affordable price was also a great option to have available. We were so pleased to be staying in such a great location, so close to everything we needed in the area. 10/10 will stay here again! Location is great, room was nice & clean, staff helpful. Location get: it's very close to the Botanical Gardens, NGV, Southbank cafes & walking distance to the CBD. Truck noise issue: First night we were on a lower level close to City Rd and our baby kept waking from the truck noise through the night. I asked to be moved & were put in a room at the back of the hotel on a higher level the remainder of our stay and didn't have an issue with noise at all there. 2 bedroom suite: First night we were in a much smaller 2 bedroom suite but moved to a spacious one the remainder of our stay. Room was fine, clean and everything worked. Television was on the small side, bathroom was only 'ok', greeting by the guy on Reception was ordinary! The two ladies on Reception the following morning were friendly and accommodating but the check in was robotic and cold to say the least! Staff service was excellent, friendly and welcoming. Rooms were a decent size and bed was comfortable. Im not a big fan of tub/showers so that was a bummer and also staying in a 2 bedroom with 5 adults with only 1 bathroom to share was a bit of a hassle. Definitely enjoyed the pool, spa and sauna. We were on the fifth floor on the City Rd side and you could really hear the traffic noise outside, expected though because of the location. It does make it a bit hard to get a good nights sleep so just try and get a higher floor facing the other side. Overall a good overnight stay. Only disappointment was that they didn't tell us they would be installing new carpet in the hallways the next morning. We got woken up by hammers and workmen at 8am. The workmen opened our door and jammed it open so they could fit the carpet. Made it noisy and felt a little uncomfortable to be showering and getting changed with the door open. My stay at the mantra was fantastic. The staff were very helpful and the location was incredibly central. I was here for both my birthday and anniversary and requested a room with a view. They definitely delivered! It was beautiful at such a great price! Thanks mantra!